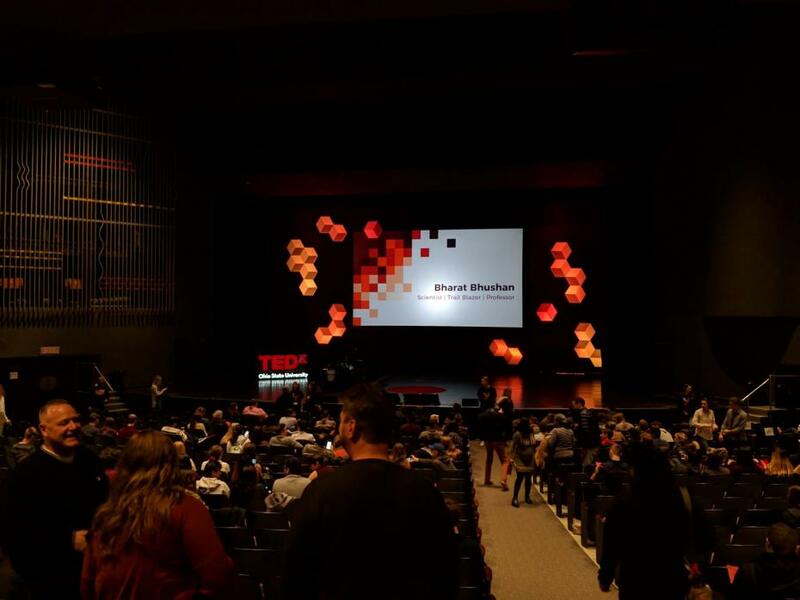 Prof. Bharat Bhushan gave a talk at the 2019 TEDx: Fuse event held in Columbus, Ohio. It was attended by about 1500 people. The title of his talk was "Lessons from Nature: Bioinspired Surfaces for Green Technology". Dr. Bharat Bhushan is an accomplished scientist and engineer who gives a talk on biomimetics and applications of their findings. 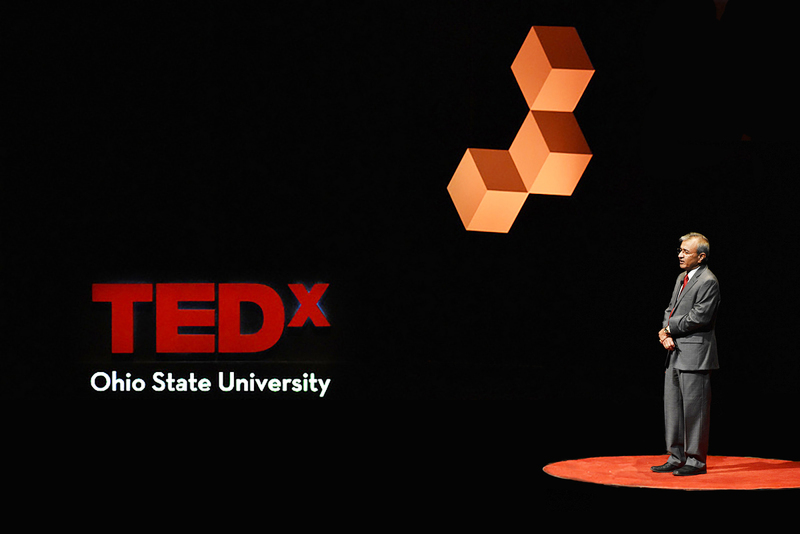 Dr. Bharat Bhushan is an Ohio Eminent Scholar and Howard D. Winbigler Professor, and Director of Nanoprobe Laboratory for Bio- & Nanotechnology and Biomimetics at Ohio State University. He served as an ASME/AAAS Science & Technology Policy Fellow, U.S. Congress in 2013-14. He holds two M.S., a Ph.D. in mechanical engineering, MBA, and four honorary doctorates. His research interests include scanning probe techniques in bio/nanotribology, bio/nanomechanics and bio/nanomaterials characterization and applications to bio/nanotechnology and biomimetics. He has authored 9 books, 800 papers (Google Scholar’s 1745 Highly Cited Researchers, h-index - 120+ with 70k+ citations, i10-index - 725+; Web of Science h-index - 90+; Scopus h-index - 95+), and 25 patents. He is co-editor of several books and journals. He has given more than 400 keynote presentations on six continents. He is the recipient of numerous awards and international fellowships and a member International Academy of Engineering.